Venkaiah Naidu said the CBI was doing its duty and acting in accordance with the mandate given to it by law. 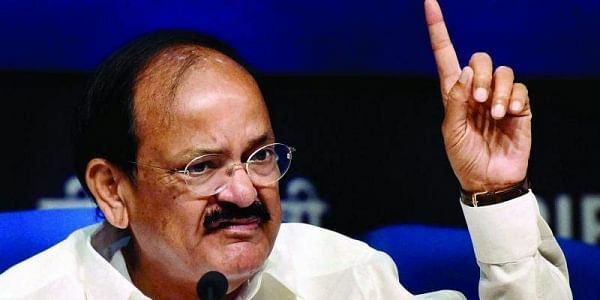 NEW DELHI: The government and the BJP have no role in the CBI raids against Lalu Prasad Yadav and his family, Union minister M Venkaiah Naidu said today. The information and broadcasting minister said the Central Bureau of Investigation was doing its duty and acting in accordance with the mandate given to it by law. "What is political vendetta? Where is BJP in this? I am not able to understand. Do you mean to say that anybody against whom any charge is there, it should not be inquired into at all?" Naidu asked. "CBI is doing its duty and it is allowed to do so. Earlier it was not allowed... after our government came there is no interference and that is why CBI is free and acting as per the mandate given to it...," he told reporters. The raids against the Rashtriya Janata Dal (RJD) leader and his family started at 7 am today and were conducted at 12 locations in Patna, Ranchi, Bhubaneswar and Gurugram after the investigating agency registered a corruption case. It is alleged that Yadav as railway minister handed over the maintenance of two railway hotels to a company after receiving a bribe in the form of prime land of three acres through a benami company. Stressing that these were "past cases", Naidu said, "Instead of facing and answering the charges, making the political allegations against the government and the BJP has become the fashion of some of the Opposition parties." To a query on political implications of the raids on Bihar's ruling RJD-JD(U) alliance, Naidu said, "JD(U) leader Nitish Kumar is a wise and mature man. He knows what to do and how to act. I don't link this (CBI raids) with political developments in the country." Nitish Kumar has announced his support for NDA's presidential candidate Ram Nath Kovind, triggering speculation about the political fallout of such a move.